According to Reporters Without Borders (Repoters sans Frontières), Moroccan information minister Khalid Naciri obtained the dismissal of Dubai TV chief editor Omar Makhfi and his brother, Jalal, the station’s Morocco correspondent, on 21 June because Jalal referred on the air to opposition calls for protests against tomorrow’s referendum in Morocco on a proposed constitutional reform. The journalists were fired two days after the minister gave a televised address about King Mohammed’s 17 June speech announcing the referendum, the organization added. 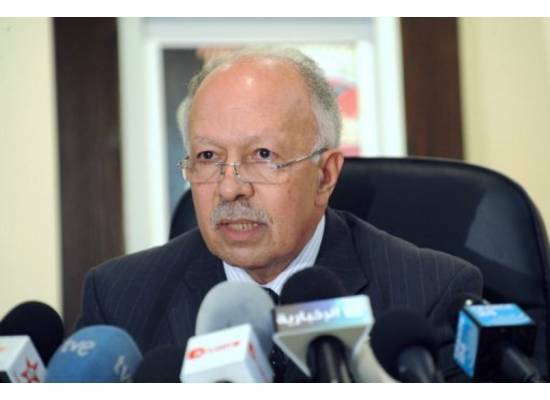 “It is time that Morocco turned the page on the archaic practice of political interference in the media and judicial spheres if it wants its proclaimed democratic principles to become a reality”, the Paris-based organization added. “The 20 February opposition movement issued a call on 19 June for demonstrations against the holding of the referendum. Jalal Makhfi, the station’s correspondent in Morocco, referred to these demonstrations during a broadcast in the most neutral and professional manner possible. He then contacted the minister for the government’s viewpoint. But instead of answering the questions, Khalic Naciri attacked our correspondent, accusing him of being pro-20 February”. “After the interview, the minister called the station’s interview coordinator and told her he was going to demand a political accounting for the journalist. We took another look at the interview and found no violation of professional ethics. But we called the minister to allow him to express his views on the constitution, without the dispute with our correspondent getting in the way. As a result, he was able speak on the air a second timeThe minister then called the United Arab Emirates embassy in Rabat to complain about Dubai TV’s Morocco correspondent. Two days later, on 21 June, the station’s news director told me that my brother and I had been fired. The station had no role in this. The news director was flabbergasted when he read me the note from the department of human resources. It took effect immediately. The next day, I was unemployed. But the station was honest with me”. “It is now 29 June and I still have not been told why I was fired, although I worked for Dubai TV for eight years and my contract had just been renewed, on 11 June. All they did was tell me verbally: ‘We have no criticism to make against you.’ What’s serious is that this matter did not remain at the media level. It is the first time that a minister has used his status as a government representative to settle a personal score and obtain the dismissal of a journalist he did not like”.